Have you switched to a grain-free diet? Well, why feed your pet unhealthy food? 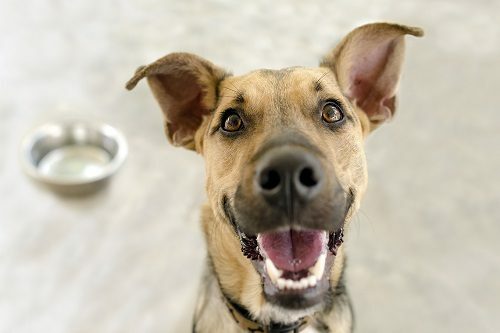 Thanks to advancements in pet food technology, grain-free formulas are becoming increasingly popular in the market today. Grain-free food items are considered much healthier and are easier to digest compared to other kinds of dog foods in the market. Grain-free canine food options are ideal for pets that are prone to food allergies and are known to have an upset stomach. However, with plenty of grain-free dog foods in the market, selecting the best one can seem like a tedious task. Whether you want your furry friend to switch to a healthier diet or are transitioning to a grain-free diet because of your vet, some grain-free foods are better than other brands in the market. Merrick has been manufacturing quality pet treats for several years now and has been in the industry for quite some time. Grain Free Wet Food - Whole Earth Farms Grain Free Hearty Stew features a grain-free formula and is regarded as one of the best wet dog foods in the market. The dog food includes high amounts of proteins from quality sources, such as chicken, salmon, duck and lamb. Nutritious Meals - The dog food contains high levels of omega fatty acids along with additional fruits and vegetables compared to other canned options in the market that are loaded with unhealthy ingredients and calories. The product also incorporates healthy complex carbohydrate sources, such as sweet potatoes. Quality Ingredients - Whole Earth Farms Grain Free Hearty Stew is manufactured using high quality ingredients and does not contain low quality items, such as byproducts. The brand is committed to refraining from the use of artificial ingredients and poor quality products. Added Vitamins and Minerals - The product includes additional vitamins and minerals that make the dog food a healthy choice for all dog breeds. However, the product does contain high amounts of salts and yeast culture. Suitable for All Kinds of Dogs - Whether you have a small pup or an adult dog, the Whole Earth Farms Grain Free Hearty Stew is suitable for all kinds of dog breeds. You can conveniently mix the product with your dog’s dry kibble during mealtime for added scent and flavor. This is mainly because wet food options tend to be tastier and have a higher nutrient content than dry food options. Whole Earth Farms Grain Free Hearty Stew received an average rating of 4.3 stars out of 5 on Amazon at the time of this review. While most customers were highly satisfied with the products, a few customers agreed that the product could use some improvements. According to a customer, the Whole Earth Farms Grain Free Hearty Stew is great for pets that suffer from food allergies because of its grain-free formula. The brand uses quality animal proteins along with a great source of complex carbohydrates. To ensure that the dog food contains enough healthy fats, the brand uses multiple healthy fat sources, such as eggs, salmon oil and olive oil. Fruits and vegetables, such as peas, blueberries and carrots provide sufficient amounts of anti-oxidants whereas yucca takes the place of probiotics and strengthen your dog’s digestive system. In fact, a customer wrote how their pet cat also enjoyed the Whole Earth Farms Grain Free Hearty Stew and that it offers quality nutrition that is hard to beat. On the downside, a customer was not happy with the product and wrote how Purina has now acquired Merrick. The customer complained the quality standards have dropped and that the stew now looks like a grey mess. Another customer wrote that while they were previously satisfied with the product, they received a can with dog food that had completely gone grey. However, the customer wrote this was only a one-time occurrence and that the other cans were fine. It is advised that you inspect the expiry date before investing in the product and purchase it from a reputable vendor. 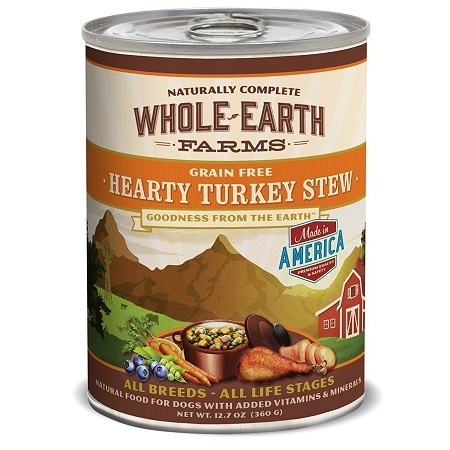 Excluding the quality concerns, the Whole Earth Farms Grain Free Hearty Stew contains large chunks of meat that practically any dog would enjoy. Whole Earth Farms Grain Free Hearty Stew can be purchased on Amazon for a reduced price of under $25 with free shipping on Amazon Prime. To save a few bucks, consider looking out for promotional offers, deals and discounts. 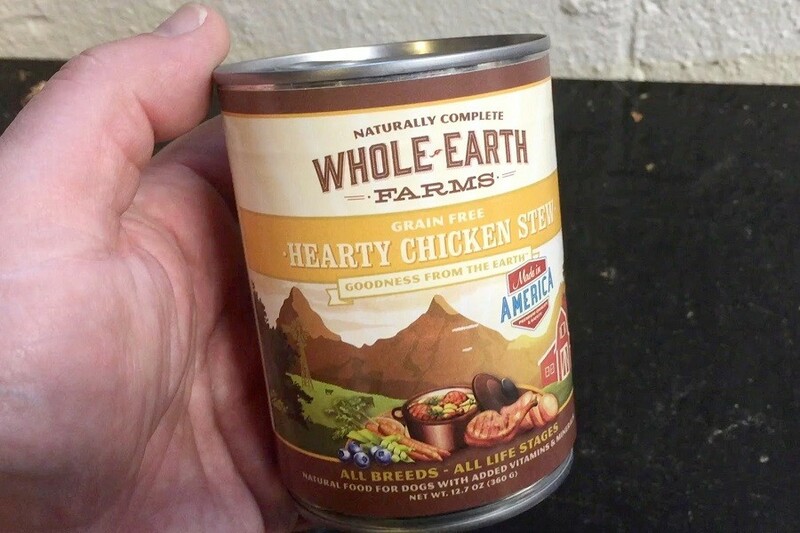 Aside from Amazon, you can also purchase Whole Earth Farms Grain Free Hearty Stew from eBay, Petco and other leading online stores. Whole Earth Farms Grain Free Hearty Stew is reasonably priced when compared to other grain-free dog foods in the market. Customers can select from 6 exciting flavors including chicken, lamb, salmon, beef, turkey and duck. What’s best is that all the flavors are available at the same price. Ensure you purchase the product from a reputable vendor to reduce the risk of quality issues. Also, carefully inspect the contents before feeding it to your dog. Overall, Whole Earth Farms Grain Free Hearty Stew offers a great value for its price. The product is reasonably priced and is quite inexpensive compared to other grain-free options in the market. It should be noted that the product is not completely healthy and contains added salts. The brand also uses yeast culture that might trigger allergies in some dogs. Apart from this, the Whole Earth Farms Grain Free Hearty Stew is a good quality dog food that your pet is likely to enjoy.